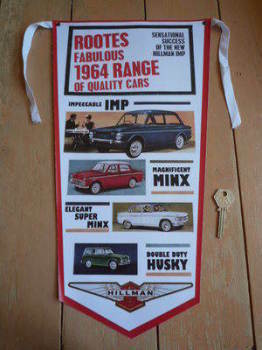 Hillman - I Say Ding Dong Shop - Buy Stickers, Decals & Unique Automobilia. 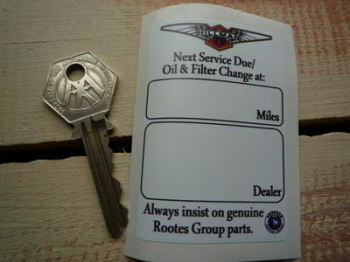 Hillman & Sunbeam Rootes Next Service Due Sticker. 2.75". 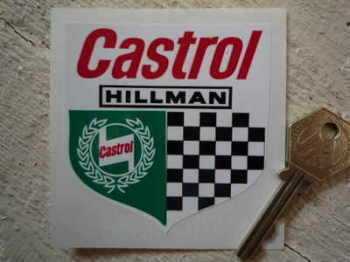 Hillman Castrol Shield Sticker. 3". 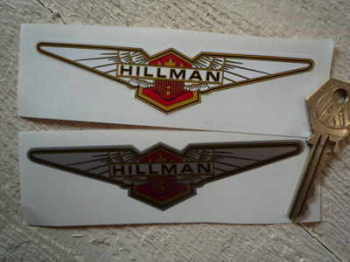 Hillman Winged Logo Stickers. 5" Pair.